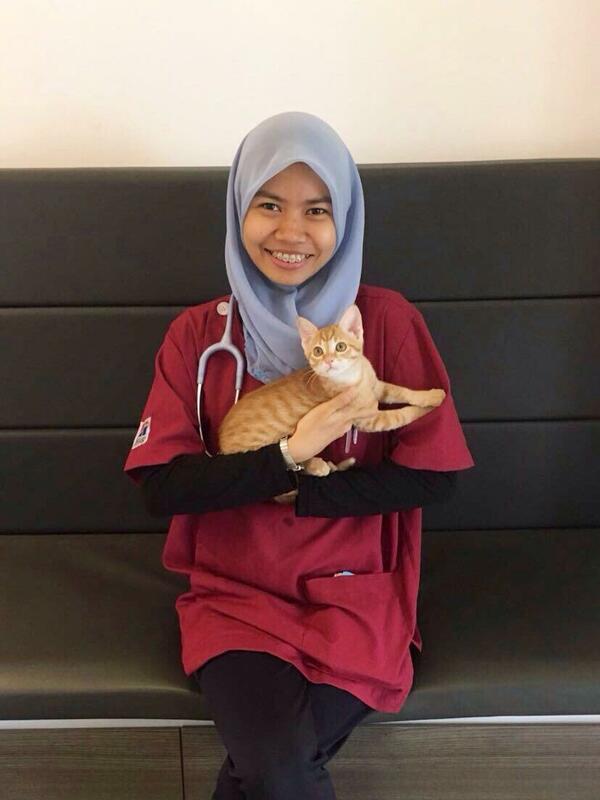 Dr Asyila Jamil graduated from the University of Queensland, Australia with a Bachelor of Veterinary Science (Hons). During her studies, she rotated between various veterinary clinics, hospitals and pounds in Australia and has come to Singapore to work since. Growing up with cats, rabbits, fishes and ruminants, Dr Asyila Jamil had developed a passion since young to provide the best care possible for all ranges of animals. As a general practitioner, she enjoys all aspects of companion animal medicine and surgery and is particularly interested in emergency and critical care. While outside work, she enjoys reading and spending time with her family and friends.